Coming off of a disappointing mid-week blowout against Nebraska, K-State baseball (18-21, 5-10) looks to regain confidence as the Wildcats dive back into conference play in Waco, Texas against the Baylor Bears (16-24, 5-10) tonight. The Wildcats and Bears both sit near the bottom of the Big 12 conference standings, tied for seventh place with identical 5-10 marks in conference play. K-State lugs a three-game losing streak after dropping the aforementioned Nebraska game and the final two games against nationally-ranked Texas Tech last weekend. Baylor is fresh off of a mid-week home win against Lamar, but before that, the Bears dropped a series to No. 15 Oklahoma State, winning only the second game of the three-game series. Last season, the Wildcats took the series 2-1 from the Bears in Manhattan. It was the only conference series K-State won in 2014. However, the last time the two squads faced off in Waco, Texas, it was Baylor who won the series 2-1 in the 2013 season. That was just one of two conference series’ K-State dropped during its Big 12 Championship run in 2013. Senior infielder Shane Conlon has been on the ball as of late, hitting .400 over the last five games including two doubles and three runs scored. K-State will send sophomore Colton Kalmus (1-2, 3.77 ERA) to the mound to start the first game tonight against Drew Tolson (2-6, 3.82 ERA). Last time out, Kalmus started in the series opener versus Texas Tech, earning a no decision after giving up three runs on three hits in four innings pitched. The Wildcats won that matchup 5-3. 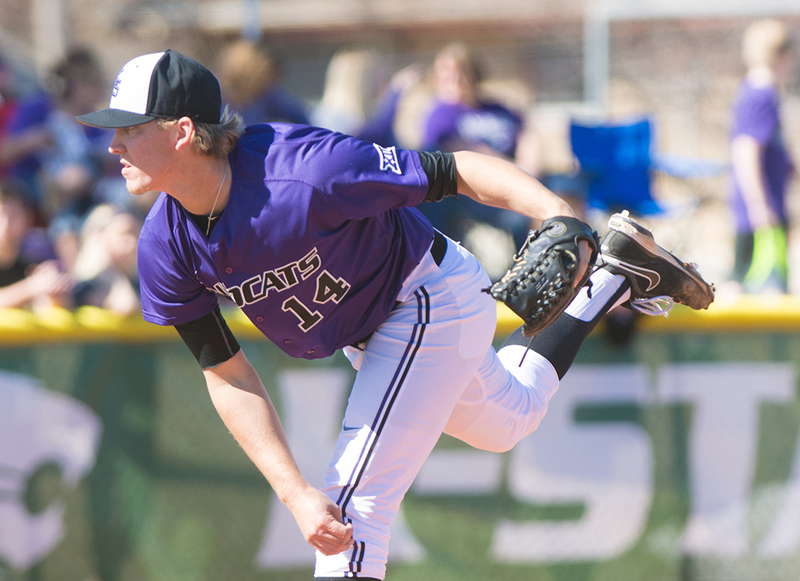 K-State has not decided on the starters for the rest of the weekend, but the Wildcats will face Baylor’s Nick Lewis (1-2, 6.17 ERA) on Saturday and Daniel Castano (2-5, 3.49 ERA) on Sunday. K-State head coach Brad Hill is only one win away from reaching the milestone of 800 career NCAA wins. That mark will make Hill one of 29 active managers coaching at four-year colleges to have reached 800 wins. First pitch tonight is slated for 6:30 p.m. at Baylor Ballpark at Ferrell Field in Waco, Texas.